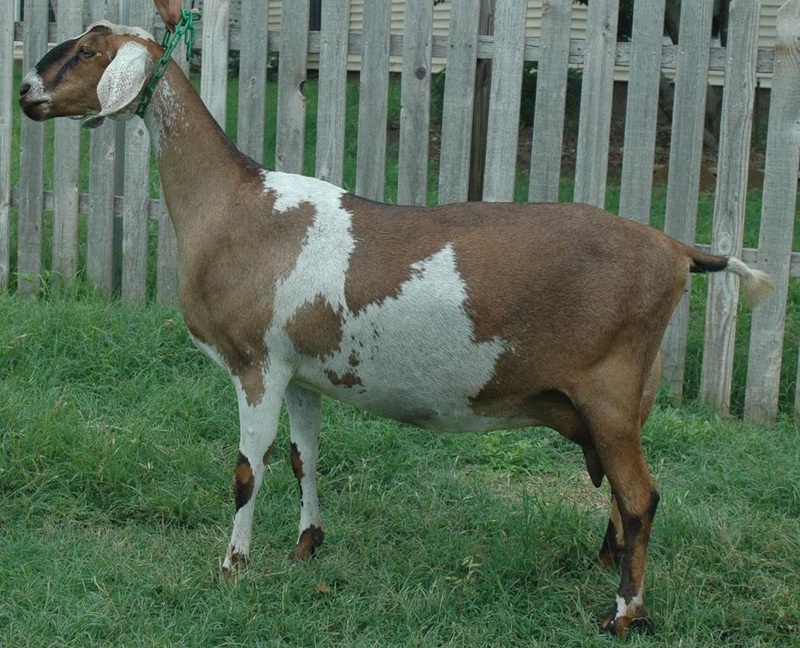 We fell in love with a buck named GCH Pruittville's Navigator (LA92 EEE) when we first saw him a few years back. We jumped at the chance to bring some of his genetics as well as some outstanding old Easy Stream genetics into our herd through a Navigator son ...Navy (Naval Explorer). With strong mammaries on both the dam's and the sire's sides it was no big surprise that Dora had a lovely udder as a first freshener in 2013. 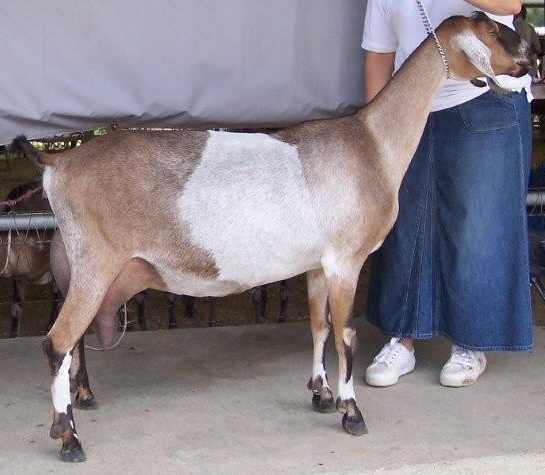 She has a beautiful 2014 doeling out of our Wingwood Farms Timothy son "Dexter", Doodle...due to freshen in 2016. And we also have her 2015 daughter Freya out of our Star Status son "Diplomatic Status". Dora is milking through for 2016.